PalestineRemembered.com and its Nakba Oral History Project were featured on al-Jazeera Satellite TV. To emphasize that the CORE issues of the Palestinian-Israeli conflict are the DISPOSSESSION and ETHNIC CLEANSING (compulsory population transfer to achieve political gains) of the Palestinian people for the past six decades. In our opinion, the conflict would have been at the same level of intensity even if both parties had been Jewish, Muslims, or Christians. To create an easy medium where refugees can communicate, organize, and share their experiences amongst themselves. The refugees are encouraged to attach their stories, memories, pictures, movies, music files, join discussions at the message board and guest book sections, directory service listing of the refugees and their contact information, and URL links related to each listed town. To provide a comprehensive source of information about the villages and cities that were ethnically cleansed, looted, and destroyed by the Israeli army. At each town's homepage, you will find pictures (both before and after 1948), the current status of the town, the Israeli colonies that occupy the town's lands, a brief history of the town before and after Nakba, detailed accounts of atrocities and any acts of terror, personal accounts from the refugees themselves, and above all live interviews from refugees reciting their experiences before, during and after al-Nakba. 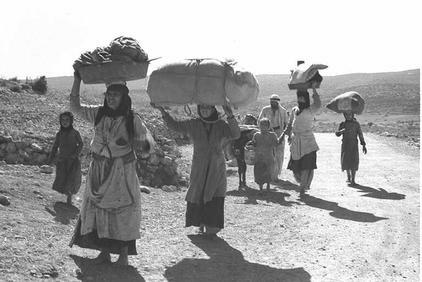 To preserve the memories and the experiences of the Palestinian people around the world, especially the 726,000 Palestinians refugees who were ethnically cleansed from their homes, farms, and businesses as a result of the 1948 war. Currently, the dispossessed refugees number 6.5 million and constitute the great majority of the Palestinian people. On the political front, so far their voices have gone unheard, and we at PalestineRemembered.com hope to amplify their voices in cyberspace. To increase refugees' awareness of their rights to return to their homes, farms, and businesses based on United Nations General Assembly resolution 194. Based on this resolution, every single refugee has the right to go back to his or her home, and to be compensated for any loss of their properties, pain, and suffering. To respond to the widely popular Zionist myth that: "Palestine was a country with no people for people with no country", at length we have responded to this myth. With the help of our online community (made up of tens of thousands of refugees), visitors to the site can verify how Palestine has its people who are rich with history, culture and values. To reach out to Israelis so they can feel the human behind this "Palestinian" or "the enemy", who was forced out from his home, farm, and business to make way to persecuted European Jewish refugees. We are proud to be one of the few mediums where Israelis and Palestinians can reach out to each other and meet, of course other than at the humiliating checkpoints. It should be noted, that the majority of the site's page views comes from Israel, and many of the pictures and films that we have of the destroyed villages were shared by Israelis. We understand that many Israelis and Jews around the world support the Palestinian struggle for justice and are willing to do their part in bringing an end to the wrongs of the past. To send clear and an unambiguous message to all the Westerners that the Palestinian people cannot be crossed for what they have sinned against their Jewish citizens. Palestine and its people cannot be the saviors for their tortured conscious and souls for what they have done to the Jews who used to call Europe home. Their blind support to the "Jewish state" and its racists policies is blindly guided with their guilty conscious. Locking Jews, Palestinians and Arabs into eternal struggle will neither bring peace to the Middle East nor to the whole world. In the Spring of 2003, PalestineRemembered.com launched al-Nakba's Oral History Project. As of now, we have conducted no less than 600 interview, covering 300 town, and containing over 3,000 hours of recording, click here to learn more. This project is in serious need of your help to expand it outside of Jordan and to guarantee its continuity. Currently, it is being funded from private funds, and unfortunately there is so much to do in such a little time. Your generous donation, no matter how little it is, will be critical for the project's survival. Click here, if you wish to send your donation. Spread and promote the site especially among Palestinians who are capable of documenting the memories of their relatives. To help you promote the website among Palestinians, we have prepared a flier in MS Word format, click here to download. Please be free to print and distribute in community your centers, mosques, churches, and shops. If you have any pictures for your hometown, you can help us by scanning and uploading these images to the site. It's an easy process, so far over thirty thousand pictures have have been uploaded to the site from all over the world. I am an Israeli, a U.S. citizen and a journalist and congratulate you for the work of this website. I was born in Haifa in 1950 of parents who helped to settle Moshav Habonim, once known as Kfr Lam. For a history project about the settlement, I would be very interested to converse with anyone with direct knowledge of Kfr Lam and its inhabitants. My contact info is easy to find on Linkedin. Thanks for creating the website. Detailed, insightful information. Why can't you post comments in English only? We want to understand what is written, we are interested. I am an American Jew who has an enormous passion for Israel. I also have a great desire to learn about the Palestinian side of things. While I believe that Israel is doing everything it can to be humane towards Palestinians, I understand that there is a difference in perspective between us. Although I respectfully disagree with some of the content of this website, I am very glad that it is taking a peaceful approach. Many other media sources I've seen call for violence or radical action against Israelis; they also only serve to increase the hatred between us and neither of us want that. Therefore, I am very impressed with the approach you are taking with this website and I hope that we can come to see more eye to eye in the near future. This is a very interesting and important project. I wonder, do you plan on including English subtitles in these interviews in the near future? I would most certainly review a number of these videos if this feature was added. I'm surprised, even after seeing thousands and thousands of children, women, men and all innocent people dying in front of them and even after they see it everywhere (this site or internet) Israelis think of Palestinians as 'pathetic' ? or they are still confuse about what Palestinians want? or what the whole world want from them? Is it not so simple? give people their land back..live with justice not brutality or slaughtering or FORCE. Because that's not how you gain peace for anyone in this world. and you are not threat but you become a threat when you occupy others homes, when you slaughter them..you become more than threat. I generally agree with what you wrote about the impossibility of using history to justify modern wars. An Americam poet, Gertrude Stein, wrote (paraphrase) that history teaches that history teaches. The history of the wandering Jews coming into Canaan etc. is good example. But before thet arrived, those tribes in Palestine and the surrounding area were fighting each other, and claiming each others' territory. The same was true in Europe. Look ar the various maps of Europe over the past 2,000 years and you can see borders changing, nations coming and nations vanishing. The same is true in South America - Incas, Mayans etc. took each others territory. So , like you, I don't believe in historical justification of borders or lands. But where does that leave us now? Seems like either the people's of the Mid-East ( and I include Israelis, Palestinians, Alawis, Kurds etc. ) figure out how to make some reasonable borders based only on the realities of today, and live in peace. Or else war continues, probably fiercer than ever and the strongest nations write their own borders, just as happened much of the time. You guys should not refer to anything anti-Jewish as being "anti-Semitic." This is in reference to any disparagement to a Jew as being "anti-Semiticism." These Jews, as they are known today, are in no shape or form Semites, they are of European origin. The Palestinian Arabs are in fact the real Semites. Just refer to anything being anti-Jewish as just that, anti-Jewish or even better anti-Zionist. The people in the Holy Land, Muslims, Jews and Christians alike, are enshrouded by deep suffering, terrible restrictions on freedoms, limitation of circulation, restricted access, unfair confiscation of land, etc. Whenever that happens in the World, we all suffer because I truly believe, my friends, we are all connected. As such, the occupation of the West Bank must end as a precursor to peaceful coexistence. @ Michael Burnstein: A Complete myth is NOT an undisputed fact. Just wondering if there are any voices out there who speak against continuous jewish immigration to Palestine. I'm not sure about the exact numbers who arrive every year, but in Beersheeba area, for example, a very large percentage of the population speak Russian. I am looking for a Palestinian who lived in the far Eastern part of the former GDR for some time. He left between 1984 and 1985. Sadly i have never met him and never heard from him again. His name is Ali El-Haij and if you know him please get in contact with me. Israelis and Palestinians are trying to get it straight..I read so many non truths. ...born of propaganda and not knowing true history at all.... all have different views of the true historical facts that led to the original conflicts...What Israelis and Jews around the world must learn is that the philosophy of claims by ancient heritage can not justify modern genocide...if they were valid ..they can not proliferate wars in all the world for the same reason. What they must realize now is that their historical facts about who started the modern conflict and why, are distorted by Zionist Propagandists that have turned Israel into a nuclear military base..... that which has justified war and genocide as a means to an end for the past 100 years would cause havoc if the world stood up and claimed the same as the Jews to own their fatherland... lets see, how many nations would come under siege? The islands in all the world would be given back to the natives, and the Americas to the native (Indians- which they do not call themselves).. etc .. all people who came after should get pushed out as the Zionist Israelis claim! This would stand as common justice in the world common courts.. and every national must go back to the land of their ancestors. The Rasa Movement of the Native Indians of the Americas --are doing the same thing into the Americas now..reclaiming their lands.. the southern states are being victimized by mass "aliyahs" by illegal migration and populating in hoards - 5 to 1 of every other nationality...this is human genocide..the world cannot sustain this kind of futile hostility and insanity... it is nonsense. The Zionist claim since 1948 to take all of Palestine ....with the call of mass illegal migrations are the same thing and has been rebuked by Jewish leaders. The birth of the state of Israel is and was a political agenda, not a religious one supported by Jewish high rabbis. Palestine was plundered for treasure and Jews that opposed it were killed by their own....this was not a nationalist cause. It makes no difference now who is wrong .. both sides are wrong and caught up in the sins of their fathers... what matters now.. is that the new generations know the truth, combat evil propaganda and self righteousness and work toward a fair, non violent and equal two state solution for peace..... which has world support. To achieve this, both sides must surrender to peace.and confront those that will not.... or there will always be war...and the world fears of WWIII will become reality due to the ignorance and greed of mankind on a fragile earth. The truth is emerging.. there is no way to justify genocide based on ancestral rights. Both Palestinians and Israelis have equal rights to the land. This concept is flawed and absurd. If this was the case, then all those in the America should leave and give the lands back to the natives..who suffered genocide also. If the Israelites can claim they were pushed off their land for hundreds of years and reclaim it.. then let all peoples of the world do the same! All peoples should return to the land of their ancestors -- starting from 2000 B.C. Even still, at 2000 B.C., both Arabs and Israelites have claims to the lands.. and if Israelis want to claim ancient history as a basis for genocide now as they did then, the Canaanite Arabs.. have more claim. They were there after the Israelites left and went to Egypt due to draught....up to the wars propagated by Moses across the land when they returned to the Land of Canaan .....how convenient to have one man or prophet convince a vast tribe of 40,000 Israelites, that they have the right to murder through a region of smaller tribes with total genocide and claim the possessions and the rights to other peoples lands. Wars are evil... they are never justified. They are always based on greed and lies. According to Zionist Israelis, all people who profess to be religious should go back to place of the start of that religion.....and claim their heritage.... all Roman Catholics to Rome and invade Italy and take over everything from those that live there now .. no problem, all Protestants to England,take their lands and possessions, all Islamics to Saudi Arabia which covered all the Arab nations, Pagans go back to Germany, Ireland and France...and take the lands that were stolen from you in genocide justified by the Roman Catholic Crusaders..........everyone should migrate back in time and take their lands and take back their rightful heritage! Take down all the world borders back to 2000 B.C. according to the Zionists Israelis. Do you all not see how just dumb and absurd this is? The propaganda and lies that are perpetrated on the people of the world must stop! The only way for it to stop is for the good people of the world to recognize the lies that pit us up against each other by those who intend to profit off these wars. This is the only way we as humanity will come to realize that hate is created by lies..by infiltrated corruption, and covert infiltration of peaceful protests and peaceful solutions. One atrocity does not lend justification to another....revenge begets revenge begets revenge. The will of those that are more powerful to take over the world until the final war between the giants of doom... that will doom the earth. Implosion by empty hearts filled with greed. Share Truth as a means to peace. Fight ignorance with truth ..prove the truth. No one can use a fabricated lie or self righteous grab for wealth or power over another, as the justification for Murder. War is murder. All religions preach 'Thou shall not kill".. how can any side, no matter who, no matter what religion justify murder of any one innocent of their corruption? Those that propose ownership of what is not currently theirs, are justifying war, aggression and greed. At this point, the only solution is an equal and fair land divide.. both nations of people have now have to come to peaceful terms or suffer the wrath of eternal wars. Both sides are the puppets of those that justify this conflict born of aggression, lies and the blood of innocent people on purpose. Both sides must see, admit and speak the truth, lay down arms and use your voice as a weapon..for peace. Stop the Insanity .. and protect the children from a future of pain born upon them by ignorant adults from both nations. Stop Israeli denial of the truth .. Stop the Zionist Genocide. Jews and High Rabbis speak out against Israeli ownership of all of Palestine... the people of the world know the truth..
Palestinians must also lay down their arms and the desire to get all of Palestine back ..both agendas will never be...for there will never be peace..the world does not agree...the world community support a two equal state solution. What you have and will continue to have is only living in hell. There is no religious justification for murder...all are wrong and defiant of the truth from each of its holy texts and prophets....Not one true Prophet, Master, Saint or Sikh has ever justified murder, greed and lust for power. Only false self proclaimed prophets of war... have written or spoken of world dominance or religious self imposed austerities, and proclaimed the right to take what is not theirs by murder. Only evil men have claimed to be Godlike or messengers of God to justify their evil. What they produce are a humanity with souls doomed to hell on earth and thereafter. Speak out .. speak only the truth you find in facts, not what they want you to believe and spew. And do not forget, there is victory in agreed to surrender from both sides...both must surrender to the equal middle. There is no other way. Both nations have equal claims. Life is essence of humanity as we aspire to purity. There is no honor in dying for war born by Imperialists in any of its forms and propelled upon the innocent. Humanity must bond together for peace through truth, or we are all doomed to die - ignorants in wars. Hu Man iT! Y? I was exposed today by chance to this site. I am Israeli and I read a lot of exciting comments and facts from your side. Many of them, that I was not familiar with before. I have compared with official Israeli sites, and yes – I do not know to tell who is right. But I have seen a lot of frank and direct comments, and I think that your doing here is really important. I have quiet of Arab Israeli good and personal friends (not based on commerce relations). A few times, was I in trouble and it was an Arab person who came to my help. I think that I have a lot of respect to you, and that your pain really talks to me. Suppose that everything you say in this site is right. As an Israeli, as much “left thinking” that I can be, how can I accept your “all or nothing” as related to the “right of return”? Do you really believe that in the coming 100 years or so, after all the pain that we have done to each other (as groups, again) will we be able to live mixed one in each other without real clear borders? What has it to do that this or that King did, or did not, accept this or that offer? What do you care so much about what the Arab world will say, did they really do something for you? What happened in last 60 years cannot be reversed. We are here. You want to fight to the end; we’ll fight to the end. You want to build something new, be brave, and we’ll build something new. But new is not what was before. Again and again I fail to see what you, Palestinians, really want, that is other than “taking it all”, in all means. If you want it all, say it clear. My dream, if I may, is that you get a state; you get your holy places, your map looks reasonable, you accept that Jews live in your areas, we accept that Arabs live in our areas. But above than all, you accept that we are here, and whatever bad we did to you, we are still here. I find it so pathetic that you criticize us as democratic or apartheid. This is exactly your problem – you want to teach us that we are bad. Every Israeli knows that, so what’s the news!? Deal with your own problems. You are so sensitive when someone deals with your inner problems. We have so much to learn from you, and you have so much to learn from us. No one in the Arab world knows it better than you. Why to get stuck forever on what was before??? @Yidvocate - Palestinian existence is in your opinion about 'jew hatred' - ? Well that's what ethnic cleansing is about isn't it - getting rid of Palestinian existence. God bless people like micheal from byron bay, and others like him, who have taken it upon themselves to boycott products that are tainted by supporting or being made in Israel. The peace momentum with Israel was built on the wrong foundation. Calling for peace without a second option, FORCE is just like the magnet with only one pole. There is no magnet without two poles. Israel is in peace and its borders are protected. The concept of LAND for PEACE is missing its complement. Israel does not need more peace. Why should Israel relinquish land as a gift to the Palestinians? Israel will not give you land with or without Hamas until it is truly THREATENED. The Arabs problem is not their rulers atrocity. It is the people silence. Nothing will change in your life until you act on change. How can you accept one man dominating the country and pouring the national wealth on his mercenaries to protect him? One should not fear the unknown reference the Arab recent uprising because it will give the people to play a role in deciding the government. Since World War II, the American extremists have contemplated the fantasy to police the world with force. During the Cold War, the American die hard nationalists had an enemy of known border, flag and identity. The American fanatics deterred the Soviet Union with the arm race. After the collapse of Communism, these fanatics have envisioned a clear path to their fantasy, but a new foe has emerged. The so called Islamic fundamentalists do not have a border, flag or an identity. This characteristic has constrained the American Zionism controlled government and foreign policy and it became the new bottleneck for the American old fantasy. If these fanatics do succeed in Iraq or in Afghanistan, the US will emerge as the solo unchallenged Satan threatens the entire world. Someone enters your house, kicks you out and shamelessly takes everything belonging to you and stays in your house. Worse still, humiliates you and lets you stay in a small part of the perimeter of your house and cage you physically and mentally. You are helpless. What will you do to get back your house and your dignity? Will you keep quiet and give in to the torture? Or will you fight back to get what is rightfully yours? What is rightfully ours, we will get back. Truth will prevail eventually. It is only a matter of time when Prophet Isaa Peace Be Upon Him returns to earth. It is undisputed historical fact that Jews had two states - Israel & Judea - from 1500 BC in this disputed land. The city of Jerusalem was Capital of only Jewish state. Arabs moved to the area after origination of Islam. There was never Palestinian Arab ethnicity or nation. One can be created next to modern Israel, if negotiations with modern Israel will succeed. If negotiations will fail - the Israel will prevail, because it is stronger militarily. Another large scale war with Arab countries will be even more devastating for Arabs & Palestinians. The group I started in Byron Bay, New South Wales, Australia is called "Byron People for Peace & Justice". We are active for the cause of Palestinian freedom. I joined the Gaza Peace March in December 2009 in Cairo but was prevented from getting Gaza by the Egyptian government. We have disrupted Ahava sales of Dead Sea cosmetics and have held protests for Gaza in our town. On March 29 we are showing AlJazeera's Al-Nakba and hoping to raise money for MECA the Middle East Children's Collective which builds clean water units for the children of Gaza. Thank you for your good work-we salute you! Can anyone of you please tell me whether the palm trees in Bay-san bear any fruits? Moshe, your hate filled comments are not helpful to the peace everyone desires. If you care about your country, show people the respectful, true side of Israelis. We are not all like that! Jordan is home for "palestinians"
From an American Jewish woman, with best wishes for a free Palestine . Thanks CHARLIE but my words are not wise they are common sense. All I am saying is for peace to occur hate is not something that should be in either sides vocabulary, open mindedness on the other hand should be. I admit I have not been to the Occupied Territories and have always lived a safe life in Australia but I am not blind to what is happening to my people and from how very little people know about the situation in Palestine-Israel. So, for those that can, help provide peace and hope for a solution to both the Palestinians and the Israelis by educating the people around you.Let us as people with voices be the key to peace in Palestine-Israel. I just read President Carters book also, I wonder who would dare call him a terrorist. He was one of the greatest peacemakers of our time and he too has been shut out by the press with his beliefs of what has happened there. And Sahar you are truly wise with your comments. I have many Jewish American friends hat have talked about the Palestinian plight. pure genocide--Israel the so called "nation" is no more credible then the Nazis, and as an American with German ancestry I THINK I HAVE THE RIGHT TO SAY THAT. And as an American I dare any patriot to say they wouldn't do what Hamas has if this happened to our own country--where is the united nations--might does not make right---my wife raced upstairs mad at me because I compared Israel to Nazi Germany--except for the fact the Nazis were German in their own country---beyond the shadow of the doubt most Americans would back the Palestinian people if the press here would support there story. As a god fearing Christian, I know the Jews are not the only chosen people but all men who believe in God and Gods word are. salam and my deep sorrows for your good ppls plight of being stateless due to zionist and end timer backed aggression. they control all our mass media here and keep getting away with calling you and ppl like me terrorist just for trying to do the right thing they keep saying this and that all lies here they just want to do to you what they did to the american indians. wish west europeans ppl would look at their own violence history much more. but anyway i myself i am writer who has just published my first novel the planetary patriot THE ONLY SUPERHERO THAT WILL SAY FREE PALESTINE.THE ONLY SUPERHERO THAT WILL FREE PALESTINE. please let the good ppl in the camp know that they are not alone or have been forgotten about not everyone in the west pro zionist just our lying government and mass media are. stay strong please do not give up i will never and neither must any of you! take care! Glad to see this site is up and available. I don't know of any other site that is as basic, objective, discerning and historically accurate. It is well assembled and easy to access. It dispells illusions while documenting reality. It should be a 101 class in colleges and universities. Thank you from Wyoming, USA. or even grain of soil from my small village. I have to tell them you will get the frustration and despair, Then you are going to have to return to embrace of your people and your nativeland, but not before it's too late, or would commit suicide. I renew my covenant and promise to go back to Palestine no matter how long or be short. and whatever and how built fort or walls,I will return by God willing. But what is said about the settlement out. I say, would give me the entire globe with easts & wests, mountains and the two nods as an alternative to Palestine I will not accept. if they said in your right the sun and in your left hand , the moon I will not accept, even if they said the dollar and the yen are yours and the euro ,riyal also yours I will not accept. I recommend my children after me to be on this Covenant and promise As promised here's soul has came back to you, with my body & with my sons and grandchildren, or with their randchildren,I will be back,O Palestine. Okay fair enough to 'elenaalexceinko' you are patriotic and I will not stop you from fighting for your country, I only ask that when you do fight, you fight against the bad people not the innocent. I ask that you think before you raise that gun and maybe even talk to some of your Palestinian neighbours because communication is the absolute key to finding a solution. And one last thing I think you need to realise that 'your country' happens to be shared by two people and both of those people want peace. I wish all the hate-comments in this site would be monitored by the administrators. They might be a good catharasis for their writers, but actually work against the information and messages brought by this site. as a member of Israel Army i will say one thing : even if my country is wrong it is still my country and i and my friends will fight until our dying breath for our country.we will never surrender. I agree 100% with "sahar" that those who wish to champion equality and peace in the world must lead by example. That does not mean that we should tolerate the crimes of the past and present but work to spread empathy for the "other" so that horrors like the Nakba of 1948 or the Kristallnacht of 1938 are never repeated again. As an American I am outraged that we would have any role in displacing Palestinians from their homes, much less with such cruelty. Without a doubt Palestinians have a culture, art and heritage and a country until Israel was permitted to seize property. I make it a point to find out where candidates stand on this issue before voting. I no longer vote for anyone who I think will blindly support Israel. They have become a menace to the world and need to be told they can not continue to expand at the expense of the rest of the world. Unfortunately, my country which was founded on the premise of religious freedom for all is becoming narrow minded and only see 9/11 as a beginning, not the slap of awareness it should have been. It was horribly wrong but so is the occupation of Palestine. I want to know who decided to remove Palestine from the maps of the world. Israel is a thief and a horrible neighbor. As an American, I have to admit that I was always in favor of the Israeli side of the story until I did some independant research on my own and went out and purchased a copy of Jimmy Carter's book "Peace, not Apartheid". The Jewish controlled media in my country distorted the true picture of the conflict and I am ashamed to have not realized this sooner. I believe this conflict can only be solved by making many more people aware of the truth. I fully support the Palestinian cause now. مهما فرقت بيننا الايام تبقى قريتنا في وجداننا على الرغم من اننا لم نشاهدها لكن نحن اليها كما لو اننا كنا فيهانتمنى دوماان نمضي فيهابعض ساعات لنسامر من هم من لحمنا ودمناونشاركهم همومهم ويشاركوننا همومنا ولا هم اكبر من هم الرجوع الى الوطن . I am very proud to be from LIFTA. It is a beautiful village filled with history,Honor and respect. Thank you for sharing with us your hard work. We are looking for intellectual, creative and educated people from around the world to join our initiative United 4 Palestine please visit us at united4palestine (dot) net and spread the word. The United States gives more economic aid AND military aid to Israel than any other country, financing Israel’s settlements in the occupied territories and supplying it's military aggressions. The reason for this is that pro-Israel organizations are THE most effective lobbyist working the US Congress. They out-spend pro-Arab and pro-Muslim lobbying groups (combined) by a ratio of about 70:1. Developing a major plan to increase lobbying efforts to the US Congress needs to be a top Palestinian priority. Israeli policy toward arabs is not smart. The military advantage of Israel will not be for ever. Israel is a small. Arabs has oil. One day arabs become stronger. They will not forget the years of humiliation. They will respond by any means. What does Israel hope for in the future. The more abuse of arabs now the stronger respons will be in the future. None state has been strong for ever. of their organized pogroms which robbed their Jewish citizens of dignity, human life, and in my opinion also much of your humanity. How can one side deny the rights of the other side to a homeland? Palestinians have been yearning for their homeland for over 60 years. Refugees have kept keys of their homes and pass it from generation to generation. Jews have been yearning for their homeland for 2000 years. They didn't keep keys, but their prayers to go back to their homeland echoed in every breath they took, wherever they were forced to live. Does time heal the wounds and yearnings, or does it only makes them stronger, more sacred? I say the latter. You admit you will never forget, so how do you expect the Jews to forget? Palestinians cannot claim for their homeland on the basis of history (whether near or far), if they don't accept the Jews' right for their homeland based on history (whether near or far). And the same goes for Jews. One side's legitimacy of claim is equivalent to the other, and if you deny one side's legitimacy, you deny your own side as well. The only solution for the end of this struggle is two states, living side by side. Israelis are not going anywhere, and neither are Palestinians. The unrealistic fantasies of both extreme ends of the narratives are the only ones fueling the continuing of bloodshed and suffering. Most people on both sides want a reconciliation and the chance to live a normal, peaceful, life. Seek life, love, and a good future for you and your children, and not constant struggle based on a past you cannot change. This region can be one of the most prosperous in the world, if both sides stop fighting and respectfully agree to march forward to a solution. We will ALL benefit from peace, and we ALL lose from the never ending struggle. Just my two cents. A Salam aleikum. You can establish your jewish state on your properties in your origin state your came from, but not on our properties in our stallen nativeland PALESTINE. Of which will be back for Sea toRiver and from Naqoura to Um-Rashrash. I renew my covenant and promise to go back to Palestine no matter how long or be short. and whatever and how built fort or walls . I will return by God willing. I am an Israeli and a Zionist, and I completely agree that Palestinians have the right for self determination and their own state. However, I fail to realize why so many people on this site deny the very same things from the Jews. There are 48 Muslim coutries in the world, more than a BILLION muslims, comprising around 1/8 of the world's territory- and one Jewish state, roughly the size of New Jersey. Are we REALLY such a threat to you all? I think most of you beleive Zionism to be something that it's not. Again, I'm all for establishing a Palestinian state next to the Jewish one, AND MOST ISRAELIS AGREE WITH ME. We're not the devil, people, we just want to be safe in our state. I'm an American without any direct connection to Isrealis or Palestinians. I have been reading up on Zionism in recent months. What has shocked me the most is that while the Nazi's were perpetrating horrific crimes against the Jewish people, Ben-Gurion and the Zionist hierarchy in Palestine were plotting very brutal acts against the Palestinians in order to create a Jewish state... acts that they carried out. Thank you for your profoundly important work. Excellent site, I have put a link on my blog. "Deception Has Always Been The Name of The Zionist Game." "Veiled Zionist propaganda is active, highly organised and widespread; the World press is largely amenable to it, it commands many of the available channels for the dessemination of news and more particularly in the English speaking world"
That's one of the reasons why I have subscribed to this site. There are millions and millions of people, like myself the world over, who sympathise with the plight of the long suffering Palestinain people and their numbers are growing. More and more people are beginning to see the light. The criminal Nazionist regime, same as once the white South- African Apartheids regime in the past, may be in control at this very point in time, but not for ever that's for sure. The Nazionist rogue regime, same as once the white supremacy regime in SA, carries the very genes (DNA) for its own demise. :/ hm, are we not all terrorists in a way? But that is stereotypical, so I guess not. I do not know if saying something mean about a group of people will really help in any way, is it not just adding more fuel to the fire? Try looking at things through all points of views. Friends, enemies (who may end up to become your great friends :D, doesn't it happen a lot with children? they fight a few days ago, and now they are good friends. ) , and many others. But I understand completely that it isn't as easy as written here. :/ Thoughts are so complicated. And I don't think I am conveying my thoughts that well. I hope we will be able to come up with a way to resolve this conflict. I think there is joy in others' happiness, like a laugh is contagious. Israel is now in charge, Palestinians are out of the picture. As an Israeli I was raised and told the Palestinian left on their "Own free will" As achild I did not understand any of it and swallowed the Zionist propaganda cliches.I arrived at the conclusion that the ethnic cleansing was a premeditated Zionist plan to turn Palestine into a so called "Jewish Democracy"
The Israeli Education minister,Gideon Saar,has instructed the term Nakba be removed from Israeli history books which makes your work highly significant in preventing the rewriting of History. While much (perhaps all) of what you document on this site is absolutely true as a matter of historical record, the tone with which the information is presented, the singular attitude towards Israelis and Jewish people, is exactly the sort of thing (from all sides) that keeps that guarantees this conflict will keep going on and on and on. I think at least some readers will understand what I mean. interesting site and trove of historical information. Balanced .Keep up the good work. هو ما زال ينتظر أن تقرع أجراس العودة ويعود.. I have watch your recommended link of http//www.frumchat.com/vidfeeder_view.php?id=fIjs1TT5-sc&keyword=boycot Israel. I have no dispute on the contribution of the jewish scientists, engineers & doctors to human race. I admire and respect their dedication and i am thankful to be able to be benefited whether directly or indirectly from their inventions. I praise & regarded them highly. I think every normal human being with reasonable logic & a sound mind would be agree with me. However, even with all the contribution and all the dedication, it is still cannot justify any kind of Zionist's crime on humanity. I cannot agree with your theory that because you have save me, then you will entitle the right to kill me. No you still don't. It is a crime irregardless of what your contribution to me was before. Besides, those scientists, doctors & engineers who have dedicated their whole life passionately invent, innovate & perfecting life saving medicines or apparatus, are definitely not the same group of people as those Zionist whose entire life is to ambitiously, passionately, affectionately planing of the torturing, killing and ethic cleansing of the indigenous inhabitant, merely to achieve their political goal- a total Jewish & Jewish only state in a arab majority state. Their are fundamentally contradicting each other on their life's goal. How bliss can this world be if those brilliant invention and innovation the Jewish scientists, doctors & engineers have contributed, were not marred by the Zionist regime's bloody inhumanity. It would be considered perfect! The good name of those good people is smeared by the regime's inhumanity. And I think, the boycott of course cannot inflict the kind of effectiveness as compared to military force to halt the Israel's military advance & offensive. It is purely to raise awareness among the world community of the Israel/Zionist inhumanity and as a form of pressure from all over the world. We still have a choice. We may not live in extravagance if we choose to boycott those products, we may not enjoy as much as those who decided to blind their conscience by supporting the inhumanity activity by continuing using those products, we may not be as healthy or as wealthy, but we will not suffer significant neither. We have a choice to use other brand if we had to use any kind of this product. We are happy enough to live in less advanced, less developed life if our little change or little sacrifice can help to stop the inhumanity. We will live & die in peace, free from using products, which R&D funded by the blood of innocent children, men & women. We do not want blood in our hand and our children's hand. Wish all the peace lovers luck & courage!!! Search for professor Dr.Norman Finkelstein on the web for more analysis on the Israel/Palestine conflicts. I am sure it is an eye opener for those who have not know him. Facts from sources e.g. annual UN general assembly result, international court of justice verdict on Israel's border, settler, the Wall, Jerusalem & the Palestinian refugees' right, amnesty international human right organization, the human right watch organization, Israel inland human right organization B'TSelem reports on human right issue in the middle east. Listen to his lecture, it is educative, mind opener & most of all, truthful with facts from reliable & world wide recognize organization & judiciary body! CONGRATULATIONS.. brothers and sisters managing this GREAT WEBSITE !!! This super cyberINFORMATION package about our BELOVED PALESTINE will in my opinion occupy the CORNERSTONE for the ROAD BACK TO OUR RIGHTFUL HOLYLANDS when PALESTINE will become A REALITY despite the zionists false claims and deception. I am writing to you from Israel, having read parts of the site and the comments below. First of all I am impressed to see such a commitment to non-violent struggle (this is not the type of struggle we are usually exposed to in Israel); as a jew, I can clearly sympathize with your longing for your lost homes. I really believe though that you should concentrate on practical solutions, which means solutions that the Israeli people can leave with - literally. Billy's observation that we (jewish-israelis) are paranoid is not far from the truth, unfortunately. However, it seems that many Arab and Muslim groups are doing the best they can to convince us that our paranoia is justified. Like most of you, we live in a constant internal conflict: I am a jew with almost-extreme left-wing political views, I respect all people and especially my neighbors, and my dream is to live and grow my kids in my peaceful country, and to be able to travel Beit-Lehem, Lebanon, Syria and so on. I am also a soldier that will do what is needed to protect my family and country against those who try to physically harm them. It is easy to see that the fascist powers in Israel gain strength whenever we sense a threat - be it a Qasam rocket or cries for our destruction from Iran. I believe that this is also true in the other direction - whenever Israel acts in an aggressive way the extreme Islamists gain power. This is very destructive for all of us, and I hope our nations will find the way to reject those who seek violence and death. Let us handle our fascists, and you handle yours, before it is too late. I do not know if it will help or not but I keep a fairly active blog and a YouTube channel. I also belong to several on line groups which have lively exchanges of ideas. I post this address as often as I can when faced with ignorance about the Zionists and Palestine. In the last week I would say at least 30 times. This site is wonderful when confronted with some idiot who makes the usual Israeli claims about "making the desert bloom" or "they hurt us poor Zionists, those big bad Muslims". I usually post it along with, "go HERE and then tell me that I do not speak the truth!" This Canadian woman has never felt hatred in my heart all my life. But it blossomed in my spirit last week with the things I saw and read. I live outside the Matrix and have for a long time, but I had never realized just how awful that country has been. Bad, yes, but detestable and Satanically driven... well now I know. One good thing about this horror is that the eyes of the world have been opened. Also now the fools have lost all claim to lay the Holocaust on all of us to manipulate us via manufactured collective guilt. I hope to get some of your films up in Google or YouTube as well, although the latter is now patrolled by the ADL and they tend to be a tad... tricky at times. may peace upon Palestinian. I am a chinese muslim from malaysia. While we are outraged & heartbroken by the Zionist terrorism & massacre over Palestine, its people & its land, I strongly feel that people around the world should unite together against the brutal Zionist offensive. Well i am not prejudice towards any race or religion but the brutality & cruelty, barbaric & hypocrite of both the Zionist & US government, is simply inhumane. Pls visit ifamericaknew.org, for more info. I hope all arab countries can united together against the israel & US despite their political or sect differences. I strongly believe that every human being irregardless of race or religion, who has a heart, would never be able to accept what the Isreal & its Allie are doing for the past few decades in Palestine, after they have visited the web. As we all know, Israel is strong & powerful because of the backing of the USA. Moreover, US is seen even clear as the poppet of Israel, with the US's withdrawal on supporting the cease fire resolution on the recent UN special meeting, a resolution that US Secretary of State Condoliza Rice had helped to craft, after a phone call from Israel president Ehud Olmert to Bush. I agreed like others, a worldwide boycott of products by the US & Isreal (from fast food Mc D, can drinks Coca Cola, levi jeans, starbuck cofee franchise, coldgate tooth paste,to hollywood movies),will definitely give some serious impact to their economy. We may choose certain targetted product if we are not able to boycott all of them but pls organise among your groups and i am sure it will be fruitful. Malaysian gruop has opted to boycott 3 major prodcut officially, which is Coldgate tooth paste, starbuck coffee & coca-cola, while other product is at individual's own choice. By this, their military funding & backing by these multimillion corporate would be jeopardised & stop them from being military too advance & offensive. in drastic case, cease usage of US dollar. switch to your own currency in trading rather that using the US dollar would definitely curb the US economy as the US has no gold reserve to back up their currency. The US is rich because the world is lending trillion of dollars to it by buying the US government bond. Their rich is merely rely on their foreign loan thru their bond. i do not know how exactly this works but i am sure it will give impact on them. I also hope that the arab countries can unite as one & use their wealth & oil as their token to pressure the US to stop the onslaught directly. They can surely do much more than just boycott. So, this is what the world & ordinary people, peace lover like u & me can do, when the UN has failed to do its bid to promote peace & justice. let alone impose any sanction or the sort to the faulty party. I am heartbroken for the people of Palestine and am truly disgusted and horrified by the slaughter of thousands of innocent men, women and children by the facist and barbaric Israeli government while America and Europe look on and do nothing. I pray that the decent people of the Western World will open their eyes to this horror and help the Palestinian people in any way we can. The comments below are very well thought out Billy. I would never guess your age by the maturity and completeness of your thought processes. Your parents must be very proud of you. I hope you go far in this world. Now get the leaders to listen to them. I have posted a banner to the site on my blog. I hope that's OK. I thought the more to the site the better. Please email me if that's a problem or issue. I'll be doing features on each of the activism sites I have on my blog. I've learned a lot here and still have much to learn. God bless you and all who are working toward returning Palestine to the Palestinians. I agree enthusiastically with the remarks made below by celticdruid. The arab peoples need to make counter filmographies of the Palestinian situation. Something to at least partially dispell the Jewish media bombardment of our brains. The situation is already much different from before. We have internet access to the reality on the ground and the suffering of civilians. I actively boycott Israel and belong to a group which promotes this behaviour. If I thought it would help I would go there and help to throw stones! It is truly with great apprehension that I write these suggestions for a common peace in the Near East. I am truly horrified at times with the type of emotions that this area brings in people, and I more often than not, feel very distant from that region. The way that I see that part of the world, and the way it may really be, seem to be 2 different things at times. As a mishmash of cultural backgrounds with no particular ties to one group or another, or any strong establishment oriented religious views, I hope to bring some clarity to the problem that may seem naïve at times, but very well thought through for over 24 years. The years of thinking about that area on a peaceful platform has brought me to some conclusions. I am for all intent and purposes formed by the Lebanese Civil war and my disdain for armed conflict. Whether experienced or formed from a distance, these are my views embedded in a abhorrence for violence from personal experience. The sectarian and feudal nature of the conflict whether in Lebanon, Palestine or Iraq is a hurdle that governments must face. When the United States invaded Iraq, it accepted the feudal and sectarian nature of the country by dealing with people like Lakhdar Al Ibrahimi who entrenched feudalism and sectarianism even more in Lebanon when he was the Arab League envoy during the 1990 end of war days in Lebanon. This same individual was used in helping form the new Iraqi government with its multitude of vice presidents and a Kurdish president. The United States in its equal opportunity temperament welcomed this type of solution to Iraq, as it tends to function on this level…. Yet, this works in the United States government but not in Iraq or Lebanon as the U.S. government provides the individual with protections and benefits that only the warlords and Zaims provide in those countries. In other words, when the Iraqi or Lebanese government start providing a range of benefits to its populace, then the populace will be less likely to turn tribal, violent or sectarian in nature, currently making these 2 States (Iraq and Lebanon) non-viable entities that are easily manipulated by outsiders. By benefits I mean, health care, education, protection, loans and other basic government functions. But what about the Palestinians? It is truly time for the government or governments of Palestine to lay down all their arms and follow the path of non-violence regardless of the Israeli reaction, which might always be violent and severe in the beginning and maybe always. We are dealing with a paranoid state and nuclear nation, which never feels safe. Israel’s largest fear is a peaceful populace asking for a homeland. or Hamas and provided to Palestinians worldwide, releases them from their bonds of slavery whether in Palestine or Lebanon or anywhere else and reestablishes the right of return and compensation. See? It also releases countries like Lebanon with the burden of having them in camps and gives them the residency opportunity to exist in that country as well as other Arab Countries and work with taxes paid to both the host countries and the Palestinian government. This is a very important issue to understand. Once this passport is made by Qatar for example, and provided to Palestinians to work in any other Arab Country, it creates a change of the facts on the ground. I also believe that the 187 countries who recognize Palestine every year at the U.N with the exception of the United States and Israel, might welcome this document too. Coupled with a non-violent movement through the 3rd or 4th intifada, Israel’s reaction could be brutal and extremist elements within Palestinian ranks may use this for violent reprisals, but this will be counter productive and it has to come to pass. More violence creates more walls built and settlements created as well as brutal repression. Yet at issue will always remain this new Islamic revivalism or extremism that does not understand Palestine and will use its cause to advance its aggressive means on the Arab world. It is important to note that 10-20 percent of Palestine is Christian and that the PLO now known as the Palestinian Authority is a secular movement. It must be reiterated; a Palestinian passport must be created and provided to the Diaspora. When for example a 60-year-old person living in a refugee camp in Lebanon or Syria with an old key to his house in what is now Israel, gets a passport that says 1. The name and 2. The address and place of birth, this does not only change the rules of the game but opens doors for compensation for him or her and their descendents. The same way that European Jewry has received compensation for its losses during WWII, the Palestinians will be able to receive compensation for land never returned. Finally, there is the extreme view of the “long walk home”. This cannot be effective under the current Islamic revivalism/violent behavior, as some of those participating in the event, might turn violent. What is being proposed is a gathering of refugee camp population to the Israeli borders with or without their passport in a bid to return home. This is another way of creating Palestine officially. The response by Israel will have to be its creation in more than what is currently being allotted as Palestine. It must be a contiguous State. In the end, non-violence is extremely necessary as Israel is a nuclear state with extreme elements in its government and population. Their response could be devastating to the state of the world and more narrowly, Palestine. We are dealing with a very paranoid populace born out of Zionism and the holocaust with a fervent belief that might is right and that their views are extremely right. Their moto is “Never Forget and Never Forgive”. Arabs are not to be trusted at anytime and any negative action by Arab elements will bring out this reaction. salam... this is great. long live palestine. the zionist will be wiped out of palestine who have stolen and did outrageous war crime against palestine. my suggestion to everyone is just save the whole document of this site. you can have this site live in your computer. just a back up if only those zionist coward attempt to destroy this website or it is good also then to have a mirror site which is then you upload on your own hosting. use Httrack, a free application that can download the whole website. just google it. Resist the fascist zionist state! I am very glad I found your website. As an American I acknowledge that our nation was founded on war crimes and genocide and we may not be ready for a nationwide "confession" and healing, I know that I'm ready to acknowledge that the Arabic people have suffered enough from the exploitation and oppression of The West. We could start with fighting for justice for the Palestinians...and hopefully, eventually for our own oppressed people, American Indians. Then, of course, there are the financial crimes committed by our own financial services industry which have caused the global depression. Where's the national admission of this? We ask other nations to redeem themselves but don't seem to ever ask this of ourselves. YET! You are doing a wonderfully job, best regards and God bless you. FAO: International News Editors and Journalists. ISRAEL-GAZA/Scottish Ritual Freemasonry. Days of Elijah - authenticated non-fiction. Verifiably Satanic is the World War III agenda of the British UGLE (United Grand Masonic Lodge of England) Mountbatten-Windsor royal family, their inner circles/familiar spirits and 2nd generation Nazi 'Bones folk' (Skull and Bones Lodge USA). Identifiably specific is the reason there has been such fierce Mountbatten-Windsor contention against Days of Elijah: True Story going public or Eliza still being alive, but there is no controversy. 1.Freemasonry's H.Q. is at 96 George Street, Edinburgh , Scotland - builders of the U.S. White House. 2.The Knesset (Masonic Lodge) was specifically designed, funded and built, by Rothschild. 3.Adolf Hitler was a Rothschild offshoot. 4. Join globally and strategically placed Masonic black dots and see the picture emerging! See e.g. Bush-Blair-Brown-Rothschild and the 'traditional handshakes' as they tour the world! Days of Elijah. Authenticated non-fiction. ISBN: 978 0 9556248 0 3. I am from vancouver,canada and i wanted to say that a lot of people in canada don't know to much about palestine.A lot of what they hear in the canadian newspapers and on television is not true.It is good to have a website so that the canadian people and people around the world can learn the truth about Palestine.In western countries the truth is hard to get about Palestine.Keep up the good work.Victory to the Palestinian people in Gaza against the fascist Israeli government. What a great site. Full of information that is informative, in-depth and extremely interesting. It has put a new edge on my previous notions of the history of Palestine and her people, her trials and tribulations. Will most definately be passing out your site address to those that I know. Thanks for enlightening me. These letters are faked in several instances. In fact, this site is totaly full of lies and distortions. Shame on you for lying. I am proud of your site and I feel that whatever anyone does or tries to do, no one can deny how great the Palestinian people and nation are. The truth about us is so clear in everything you publish. God bless you all. Whew! Is my head spinning! I have been a fundamentalist christian for over 30 yrs., was well grounded in the biblical premise of Israel being an eternal homeland for the Jews, etc. But, of late, I have been undergoing a search for truth, a search which comes from a need to see less christian war-mongering by the religious right, and more love and humanity being exhibited by the follower of Jesus and our forefathers, the jewish people. I am scratching the surface, but from what I have been learning so far, I am making a radical departure from my former views. Wish me luck on my quest for more truth and salaam alekum. Thanks for all of the great pictures! I have more pictures i would love to share with you. E-mail me if you are intrested! This is one of the most civilized websites I ever discovered (via Ilan Pappe's The Ethnic Cleansing of Palestine). Sorry I have just enough money for my own survival. Actually YOU make me richer (on a quite different level). Utmost respect for, and congratulations to, all the people whose tremendous work keep this site running.